Data is a powerful marketing tool, but many companies estimate that they only analyze 12 percent of the data at their disposal. Of course, it is difficult to discern which facts and figures are relevant to business. Some businesses, however, are smarter with their data than others. How is big data changing the way top companies market? 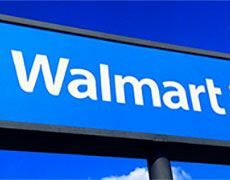 Walmart decided to use semantics data to improve its website’s search engine. Polaris, its search platform, analyzes text, strives to learn how people search and even looks for synonyms to search terms. The result? Semantic search has increased the chances that Walmart’s online shoppers will complete a purchase by between 10 and 15 percent. Tech Target summarized a presentation wherein Gartner analyst, Doug Laney, gave examples of companies that use big data to their advantage. Laney mentioned a fast food company — without giving the chain’s name — that uses cameras in its drive-thrus to determine which items show prominently on its menus. When lines get long, items that are fast and easy to prepare get the spotlight. When business slows down, pricier items that take longer to dish up appear in the limelight. Hindsight is 20/20, but it can also help companies predict the future. American Express recognized this and developed models to predict what its customers will do. By analyzing past transactions, the credit giant claims it can predict when some customers will close their accounts in upcoming months. This predictive analysis could help American Express make greater efforts to nurture loyalty, or it could steer it toward people who are more likely to stick around and continue making AmEx purchases. An example of a company that makes good use of dynamic pricing is Fairmont Raffles Hotels International. Basically, it analyzes reservation data to determine how much to charge customers. In theory, hotel companies could even vary their prices based on the type of device their website viewers use. For example, if owners of a particular smartphone seem to be more willing to spend online, prices might be higher for them. Data points are some of the paving stones on the road to marketing success, but too often data goes unanalyzed, and businesses miss out on its true potential. That is why professionals with Master of Science in Analytics degrees are becoming ever more valuable in the commercial world.